Whet your appetite with delectable appetizers like Miracle Mushrooms and Cheese Puffs, followed by entrées like Big Nonna's Torta Di Spinacci and hearty Risotto e Gamberetti. Inez Ferrari learned the art of cooking from her parents, who hailed from Northern Italy. Her mother's motto? "When you cook, you cook with love." 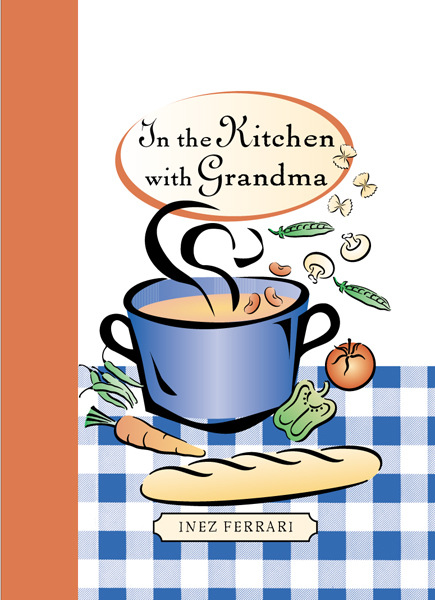 Now the author shares her favorite family recipes with America. And what Italian meal would be complete without sweet confections like the Ladyfinger Mousse Cake? Soon you will come to think of Inez as a member of your own extended family, with both wisdom and recipes to spareâ€”and discover that the secret to a delicious meal is to cook with love.